Mohit Dobhal can be scaled from being a lover of art to a splendid human being, with an exceptionally enchanting voice which will revive your senses. He has the freshness of a dewdrop in his tunes. His quick realization for the interest in music at the age of 6 was a boon for his career and after learning harmonium and keyboard for some years, he took up vocals and followed the path of his grandfather, late Shri Parashu Ram Dobhal, who himself was an All India Radio Artist. 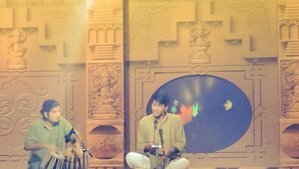 The literary achievements in music include his specialisation in Hindustani classical music (vocal) from Gandharva Mahavidyalaya New Delhi, Facuty of Music, University of Delhi and Indira Kala Sangeet Vishvavidyalaya, Khairagarh. Apart from that he is adept at playing several instruments like Guitar, Piano, Drums & Tabla. Being bestowed with several state and national awards, his zeal is boosted up to give a richer quality of Music to the listeners. His professional work experience in the field of music spans across 15 years and has performed in United States, United Kingdom, Germany, Poland and almost all the states of India. Bachelorette degree of Chemistry from University of Delhi. Bachelorette degree in Music from Indira Kala (Khairagarh) University. Masters in Music from Indira Kala (Khairagarh) University. 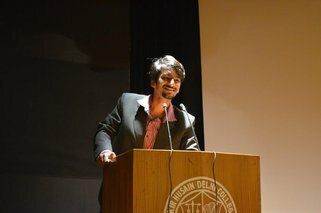 Sangeet Shiromani from University of Delhi. Sangeet Visharad (Deploma) and Sangeet Alankaar (Post Diploma) from Gandharva Mahavidyalaya, New Delhi. The best vocalist award in Faculty of Music, University of Delhi (2014-15). The winner of Delhi state vocalist award for continuous 2 years (2008 & 2009) from Anuvrat Bhawan, Delhi. College Crest award (2011), Z.H.D.C. , D.U. College Colour award (2012), Z.H.D.C. , D.U. College Colour award (2013), Z.H.D.C. , D.U. Winner of the Delhi Voice award by chief minister of New Delhi, Smt. Sheila Dixit (2012). Founder & Director of an N.G.O called Culture Roots Foundation. Teaching Artist at Music Basti. Founder and vocalist at the band called SwarAntar. Choral music Facilitator at University of Delhi. Music director at the Dobhal Studio. Vocalist at the Gandharva Choir.